Over the last couple of weeks, my fellow bloggers Jeff, The Drunken Cyclist, and Anatoli, Talk-A-Vino, posted two very interesting pieces: Jeff talked about how much one should or would want to spend on a bottle of wine, the classic question of how much is an expensive bottle actually worth for you and does a wine get five times better when it costs five times as much as another wine. It contains a lot of interesting thoughts and the discussion has been great! Read the article here. Then, Anatoli posted a piece about ageing wines and when a wine is ready to drink. A lot depends on the personal taste, in my view, but I still have not fully come up with an answer to what my stance is. As you know I like aged Riesling a lot…find his article here. “Aging wine is a crapshoot, as you can never be sure what you will have when you finally open the bottle. But this, for me, is the beauty of wine. Wine is a living organism. In its primary stage, it is often very easy to understand. 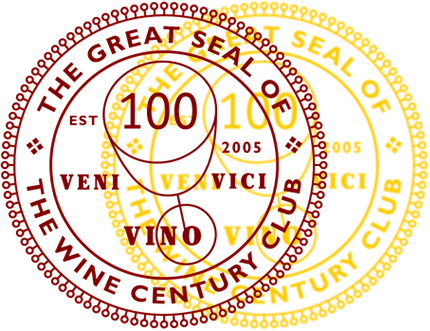 As it ages, a wine will gain complexity and depth. And along the way probably a blemish or two. I never keep any wine over a year or so even though our basement keeps it at a good temp. Did you ever get your German Pinot Noir? I picked up a bottle German Pinot at Trader Joe’s recently and I’m going to get another one. It was great with our dinner of pork and cabbage. Rieslings can be well worth the wait, but then again, they are also sooooo good young!! The three German pinot noirs actually arrived. We’re currently not drinking much so you will have to be patient with the reviews. I believe Oenophile also bought the TJ German pinot and liked it…he wrote about it on his excellent blog. Glad you had a good experience with it!! That is a great thought- we are attempting to gain a vertical tasting of grocery store wines just to see how they do, then age them for 3 years and retaste. I have tried some really old, really expensive wines, but now a days I can’t spend that kind of money… being in France most all wines are great despite the price, because of terroir. So we are going to test it out! Thanks for the thoughts! Oh nice. That sounds like an interesting idea. You might want to store two bottles each and see how they aged in comparison. Most of my issues with these wine-related controversies is that they are often displayed in an either/or way when really they are matters of taste, personal preference and experience. Some wines are great for ageing, some are not. I don’t think there is a black and white in this issue and some people just seem to believe there is. Great quote… Makes me want to find a wine’s blemish and celebrate it.